2. 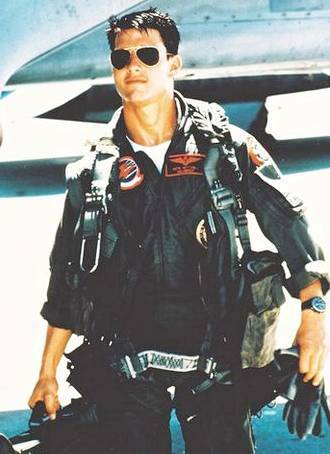 The image: Fighter pilots are brash, just like the outspoken Maverick. Truth: Most fighter pilots, including my husband, are soft-spoken and amiable, with a sense of humor. They’re proud of what they do, but don’t really flaunt it at every opportunity they get. 3. 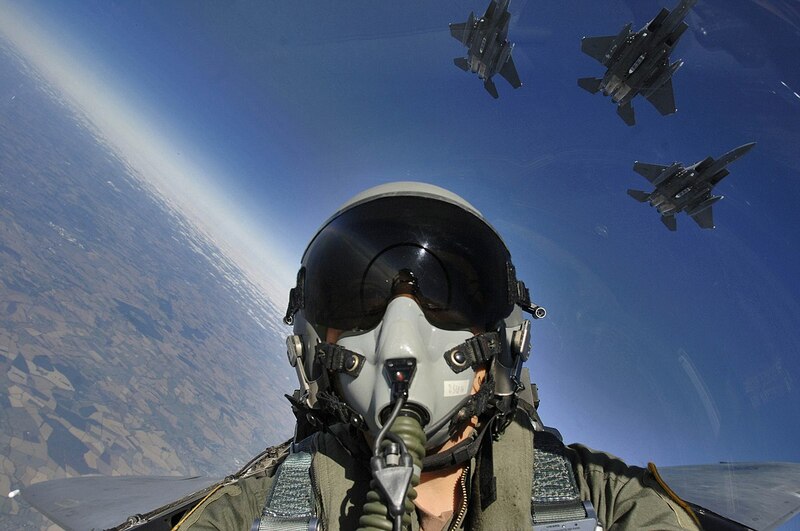 The image: Fighter pilots have one of the most risky jobs. Truth: Well, yes, that is the truth. Which is why they take their sorties so seriously. While most of these guys enjoy some light-hearted banter in their downtime, they don’t take their training sorties or everyday missions lightly. 4. The image: Fighter pilots are flamboyant. 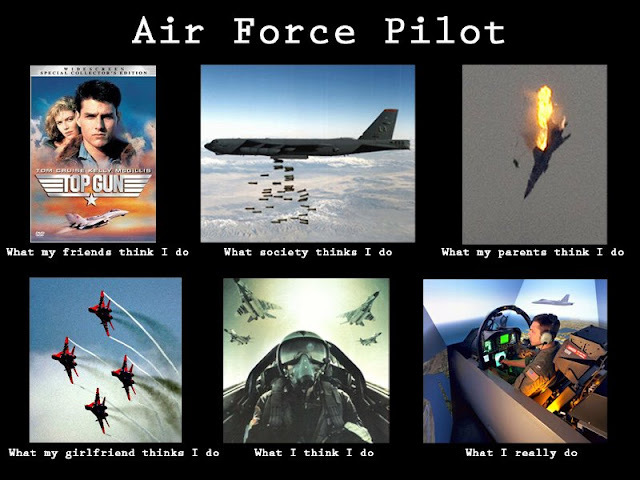 Truth: While some of them might be, most of them are pretty normal about being fighter pilots. You’ll hardly find anyone shouting out their profession from the rooftop or going the extra mile to portray a certain image. 5. The image: They’re inseparable from their Aviator Ray-bans. Truth: Umm, yes, to a certain extent. If there is one thing that these guys covet, it’s their Aviators J. You’ll hardly find a fighter pilot on a sunny day (and sometimes on non-sunny days too) without it. 6. 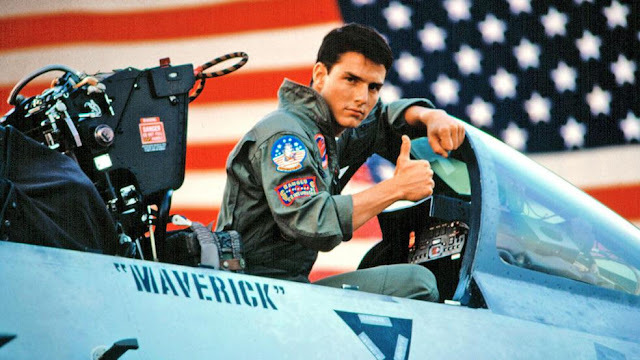 Image: Fighter pilots, like Tom Cruise in Top Gun, are way too sure of themselves. Truth: They have to learn to be sure of what they do in the air, but never let over-confidence take over. Most of these guys know how to stay calm under pressure and have razor-sharp decision-making skills. 7. 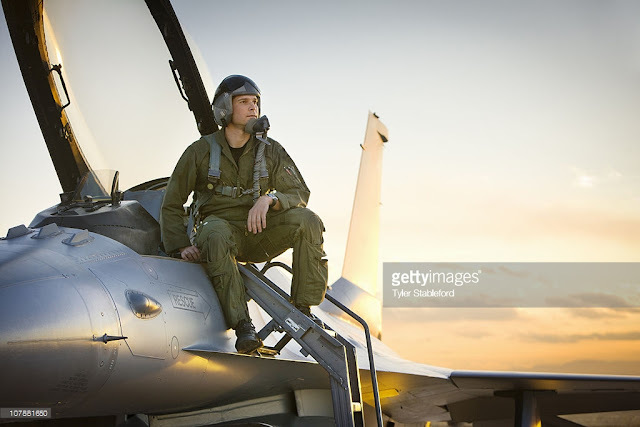 Image: Fighter Pilots are Ladies’ men. Truth: The ones I know are all total family men (again, like everything in life, there could be exceptions to this). On weekends (or whatever is left of it), you’ll find them playing with their kids, buying veggies at the local market, helping their wives buy that right dress at the mall, or even baking a mean brownie ;-). In a nut-shell, fighter pilots are rock-solid guys, grounded and calm, who dote on their families (totally my own opinion based on my personal experience :-)). They love a good joke, even a great party and definitely their Aviator Ray-bans. They put their lives on the line every single day and love every minute of their time in the air. Join us on our Facebook Page to stay up-to-date with our Fauji Wife Diaries Posts. Q)How to identify a fighter pilot ?? A) you won't have to worry , he'll come and tell you for sure 😊😊 nice article ma'am !! Knowing quite a few fighter pilots, most of them are humble and normal human beings . So well written Chandana. Straight from the heart. Having known 100s if not more, of fighter pilots, these guys are down-to-earth and understand and live life! Keep writing. Nicely done. My best to your husband and your entire family. Thank you all for your service. Thank you Harsh Uncle, for reading this post and always being so encouraging. Love it! And I certainly agree to every word you have written:). What a good read chandana. Thanks for sharing it. Thanks Nidhi! Glad you liked it :-).